Tony Perkins is a creepy dude with mental issues who spies on and obsesses about a beautiful blonde, but it’s not the movie you’re thinking of. 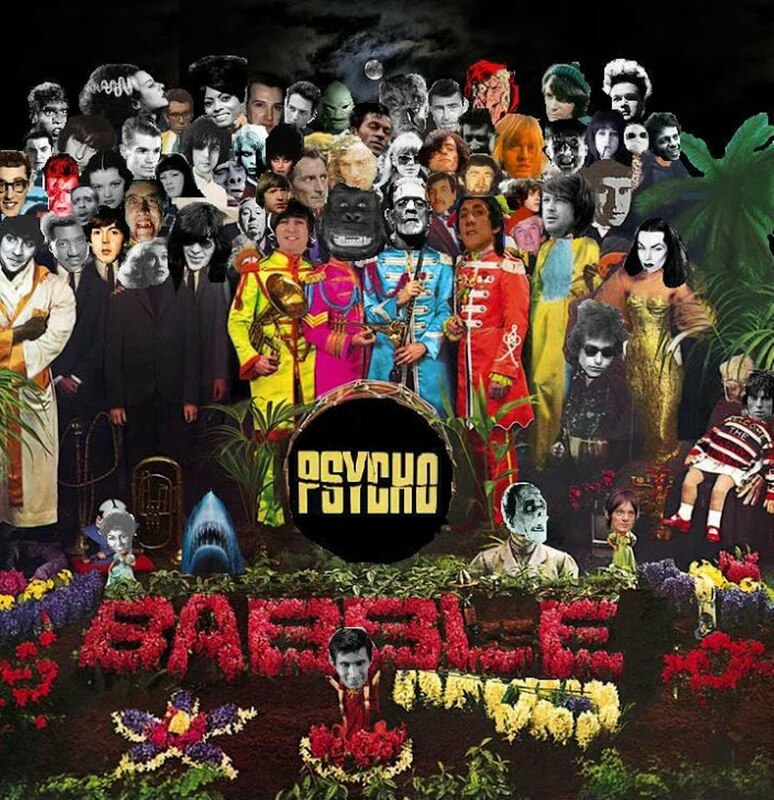 Eight years after Psycho, Perkins flirted with being typecast and Tuesday Weld in Pretty Poison. Perkins is Dennis Pitt, a young arsonist recovering from delusions and recently discharged from an institution, who sets his sites on Weld’s high-school drum majorette Sue Ann Stepenek. Dennis seduces Sue Ann by pretending to be a secret agent, spying on her mother’s hated boyfriend, and giving her acid. With his free love, free drugs, and environmentalism (he schemes to expose toxic dumping at the chemical company where he works), Dennis is a sort of countercultural stand in— a more unhinged Benjamin Braddock. However, it’s hard to place where we viewers are supposed to stand on Dennis. Are we supposed to find his whacky spy fantasies charming? It’s tough to watch an older man ply a high-school girl with drugs and fantasies and find it anything less than distasteful, but Pretty Poison performs a clever turn of the tables when Dennis’s lies lead Sue Ann to perform an unexpected act that puts her in the driver’s seat and reveals some serious twists in her own psyche. 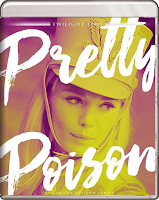 Pretty Poison is a noir at heart with Perkins ultimately playing the dupe and Weld playing the femme fatale, but it is subtle humor that fuels the picture—no surprise considering that one of the era’s funniest writers, Lorenzo Semple, Jr., of TV’s Batman, adapted Stephen Gellar’s novel She Let Him Continue for the screen. Production values are strictly small-screen and Noel Black’s direction is often a bit flat, though it does take off whenever something starts blowing up on screen to underscore Dennis’s horniness or mental unspooling, and Semple’s smart script and the effortlessly magnetic presences of Perkins and Weld make Pretty Poison an effective minor cult classic. 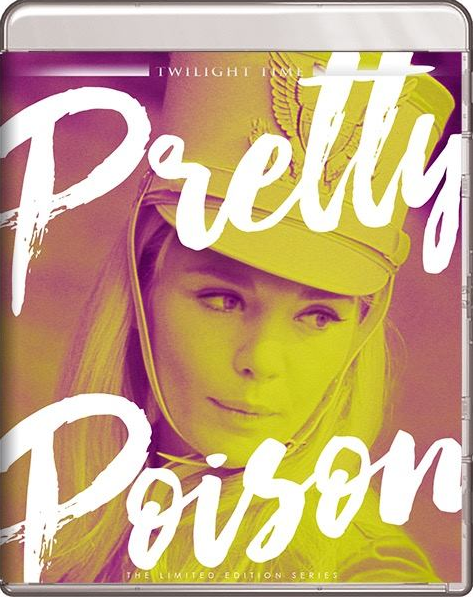 Pretty Poison comes to blu-ray from Twilight Time, and the picture is heavy with grain and a touch soft but totally clean. Extras include a text-only scene that appeared in the script but not in the film and a three-minute commentary from Black about the scene. It is available to purchase from Twilight Time here.